The festive liqueur is perfect for making sweet-tart cocktails to drink before, during, and after your feast. In Thanksgivings past, we’ve reached for cranberry juice or even cranberry sauce when shaking up a round of cocktails. But this year? We’ve found a cranberry liqueur we love, and we’re not looking back. We’ve long been fans of Clear Creek Distillery out in Oregon — their marionberry liqueur was a highlight of our summer. But now that November has arrived, we’re switching to their cranberry liqueur. Like all great fruit liqueurs it tastes vividly of its starring ingredient, with a sweet-tart balance that has you puckering up a little bit — just as cranberries should. Give it a try in these three drinks, each perfectly suited to the holiday. A Cape Codder — or, by its more familiar name, a “vodka cran” — is a staple of bars everywhere, but we’re dressing it up a little. 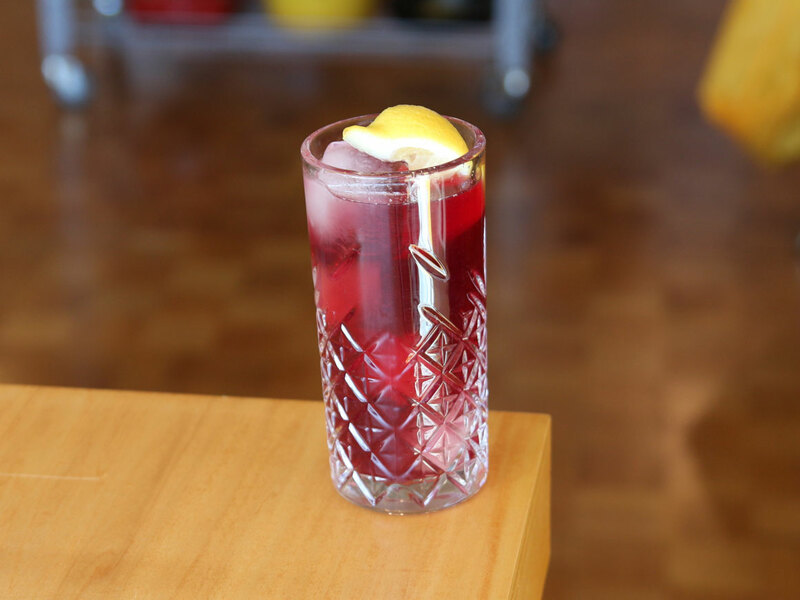 Here, the vibrant cranberry flavor of the liqueur is front and center, with vodka to booze it up, soda to lighten it up, and a lemon squeezed in for good measure. Drink this one all through Thanksgiving dinner; cranberry, of course, pairs with everything on the plate. Instructions: In a tall glass with ice, combine an ounce and a half of vodka, 3/4 ounce cranberry liqueur, a quarter-ounce of simple syrup, and two ounces of club soda. Stir briefly, and garnish with a lemon wedge, squeezed into the glass before serving. Instructions: In a mixing glass with ice, combine an ounce and a half of bourbon, 3/4 ounce cranberry liqueur, and 3/4 ounce sweet vermouth. Add a dash of orange bitters. Stir until very well-chilled, then strain into a chilled cocktail glass. Garnish with a lemon peel and maybe a candied cherry. We’re huge fans of applejack, the American-made apple brandy. 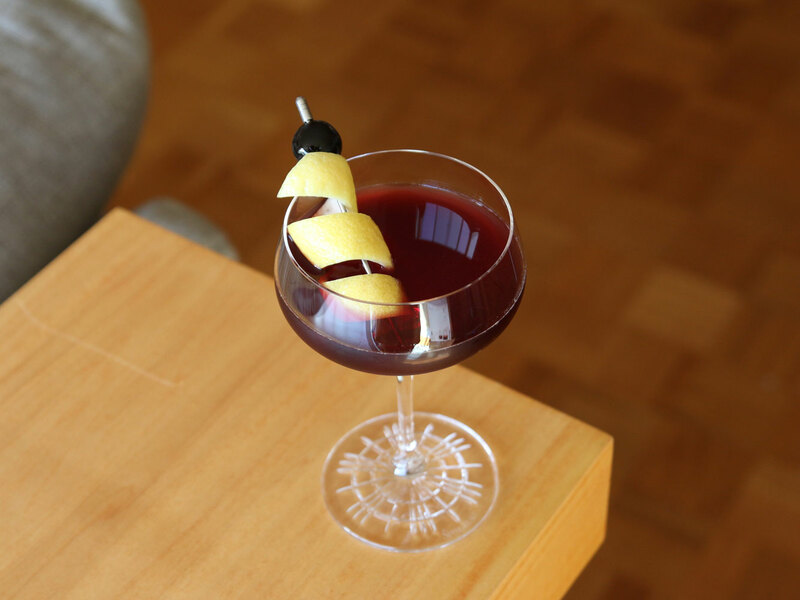 There’s no better time to drink it than autumn — and, unsurprisingly, it pairs perfectly with cranberry. Add a little lemon and some fresh apple cider and you’ve got a juicy, refreshing crowd-pleaser of a cocktail. Instructions: In a cocktail shaker with ice, combine an ounce and a half of applejack, 3/4 ounce cranberry liqueur, an ounce of apple cider, a quarter-ounce simple syrup and a quarter-ounce of fresh lemon juice. Shake until very well-chilled, then strain into a rocks glass with fresh ice. 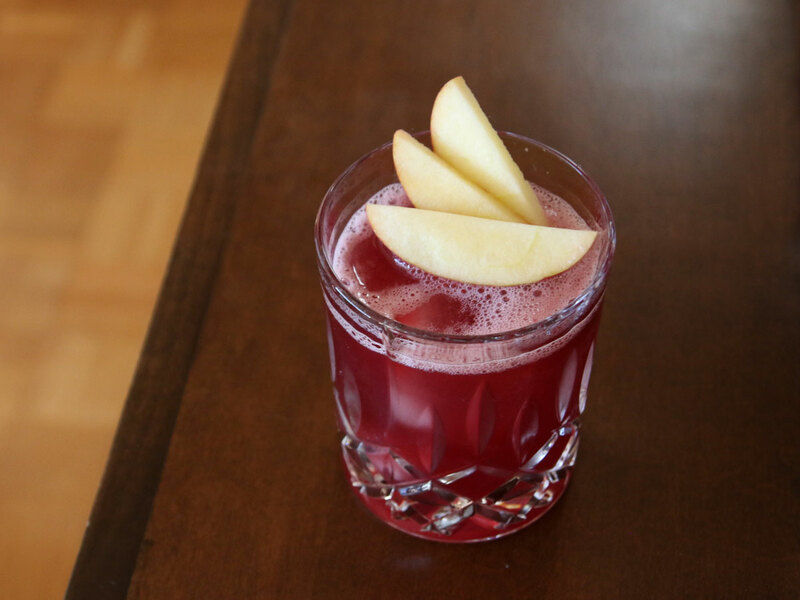 Garnish with a few thin fanned-out apple slices.